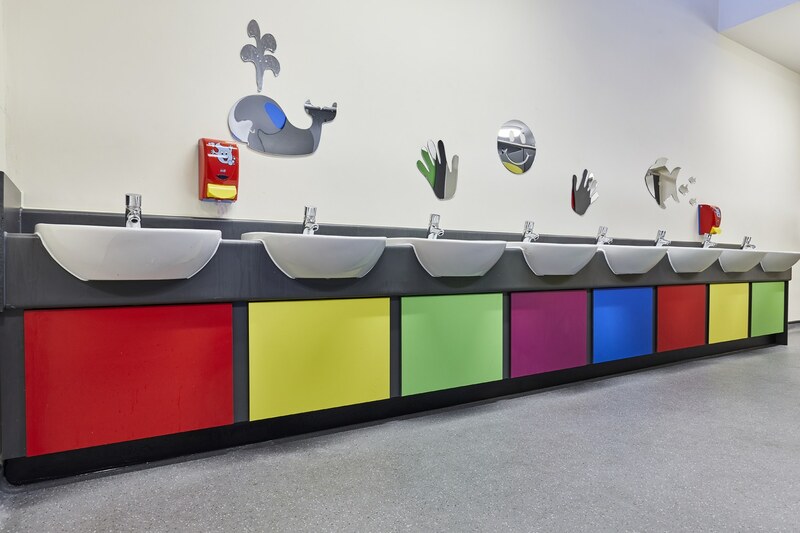 Somewhere over the rainbow… Located in the heart of Essex countryside, Wimbish Primary School chose a stunning array of colours for their new washroom. 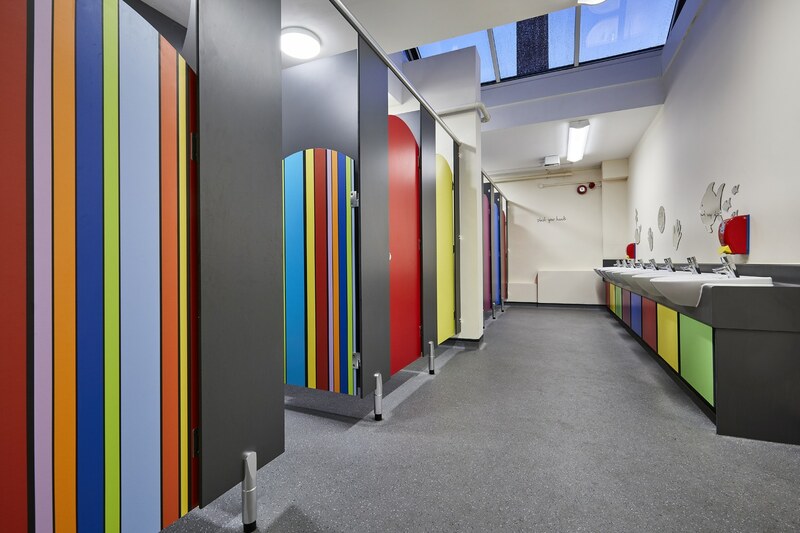 The client required a multi-age, unisex washroom utilising existing space within the school. 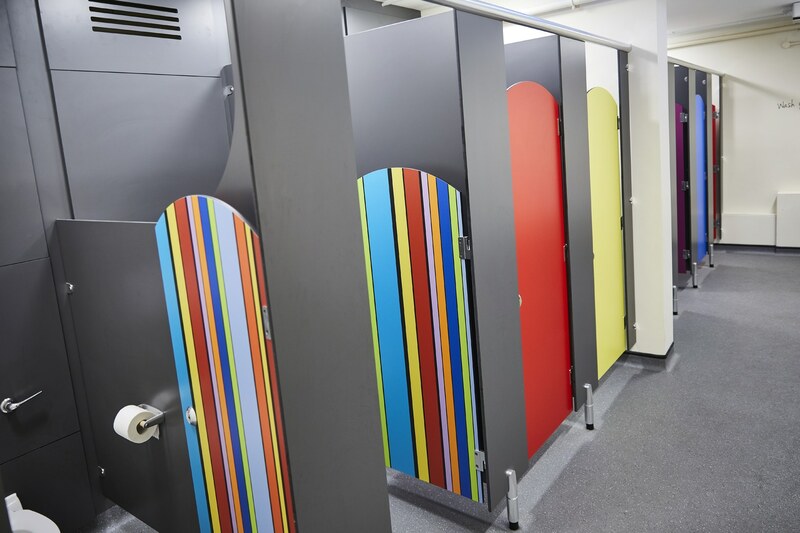 The washroom needed to be hard-wearing but provide a fun, bright and safe area for the range of users. 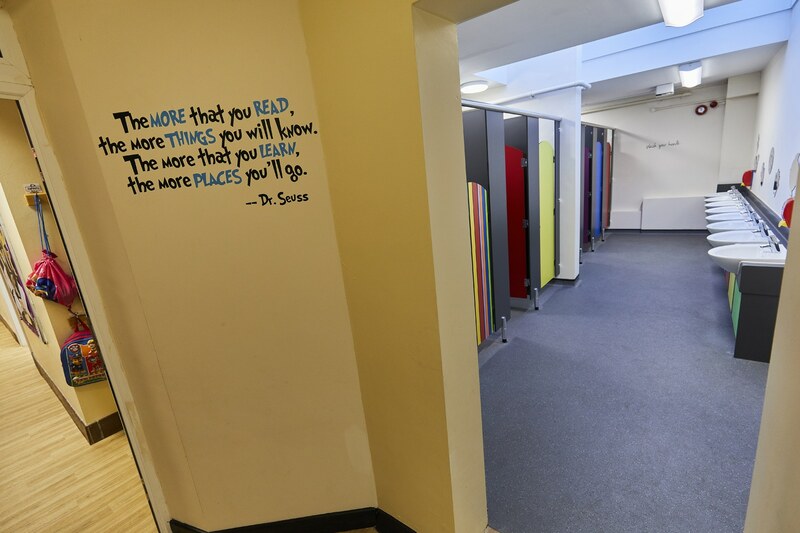 Dunhams were able to provide bespoke features to achieve and enhance the functionality of the space. These included varied height cubicles to suit the mix of users and ventilation grills machined in the duct panels. 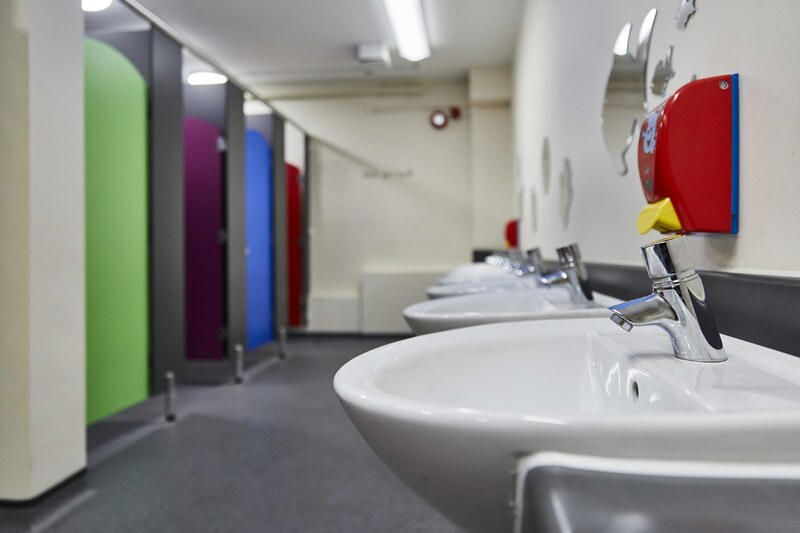 Our Junior SGL Cubicle System , SGL Duct System and HPL vanity units, provided the primary school with an attractive, yet practical solution. 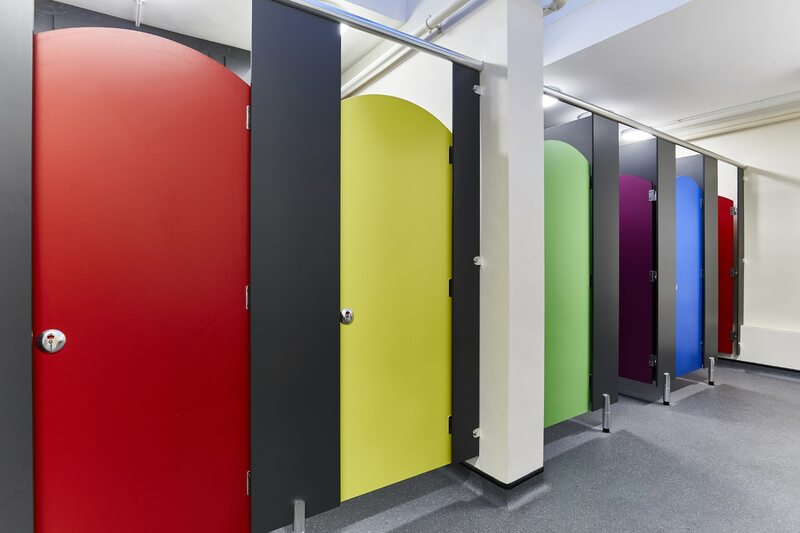 The cubicles include features such as a varied shaped panel heights – allowing easy adult supervision when required but at the same time not intruding on the children’s privacy. 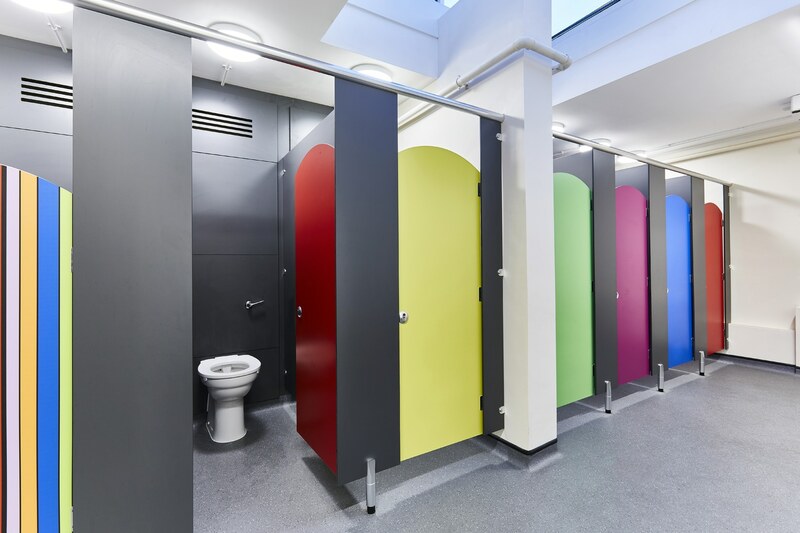 SGL is renowned for its durability and is highly recommended for wet, high traffic areas such as school toilets. Aesthetics is never overshadowed by practicality and prioritised both on this particular project. 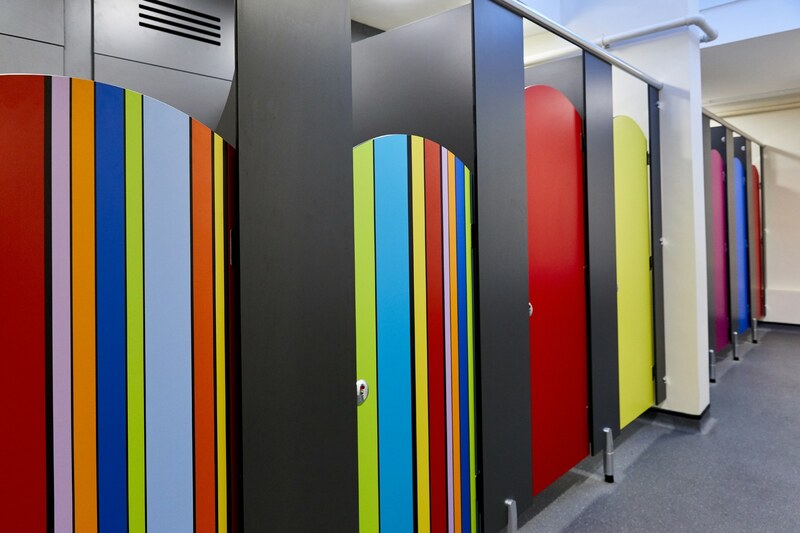 The final result and design of the toilets at Wimbish was bright, attractive and importantly fit for purpose. 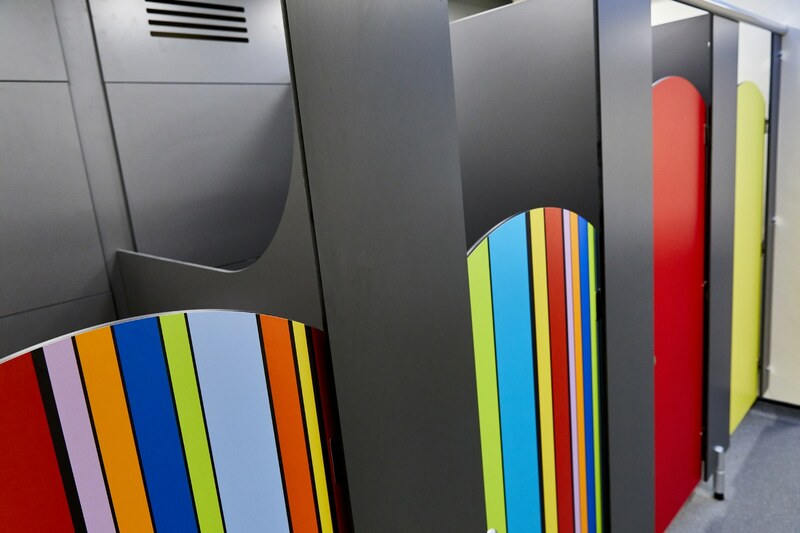 Cubicle doors featured the Linear design from our Grafix range, which is an assortment of shades selected from the rainbow. These were then complimented with a range of plain shades, chosen from the Linear design and shown in the higher Junior doors, they were also reflected in the vanity panelling. This project also benefitted from building design features such as natural light from roof lights and an open doorway. 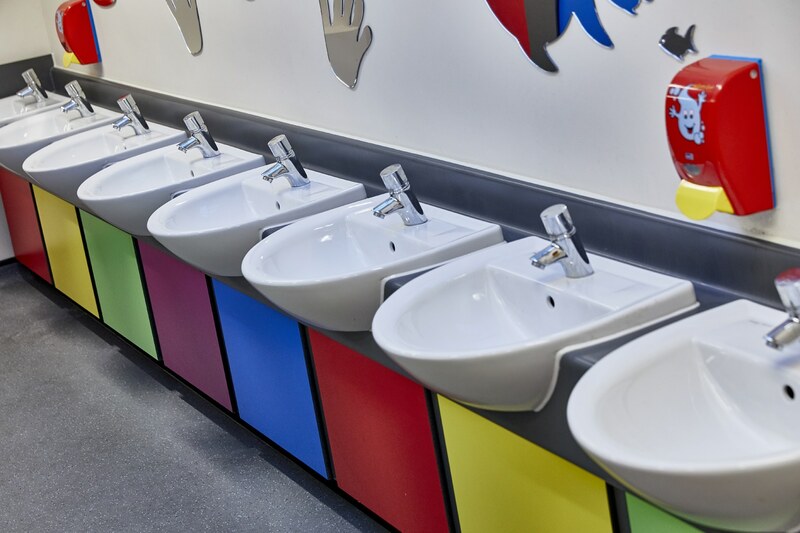 These helped to create a pleasant environment and ultimately and practical and safe washroom for children. 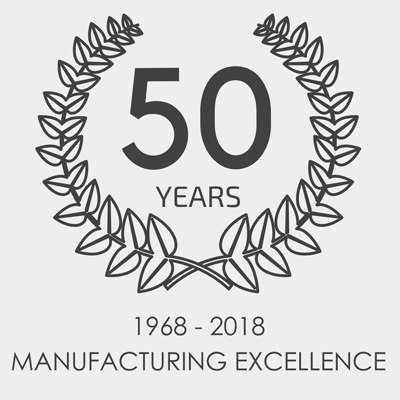 Call us on 01603 424855 or send our experts a message!